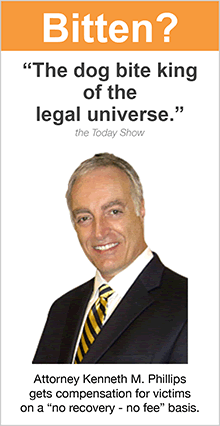 Chat with Attorney Kenneth M. Phillips. 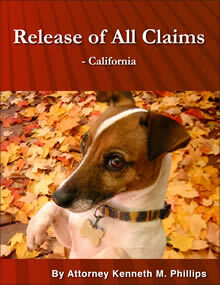 It's done by email to protect your privacy. Hit "Contact" above. 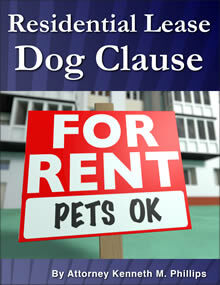 Tell him about your dog bite and he will discuss your options without charging you anything. 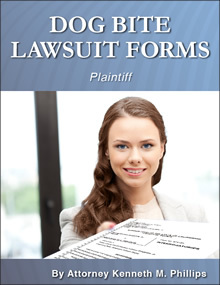 Tell Attorney Phillips about your case and he will suggest solutions. Send him an email message (hit "Contact" above). 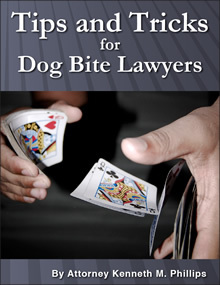 Get a set of the same Dog Bite Litigation Forms that he uses for dog bite cases all over the USA. 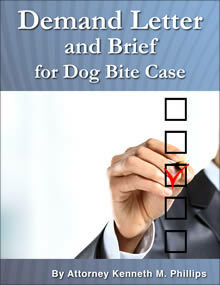 Watch Anatomy of a Dog Bite Case, his "tips and tricks" seminar for plaintiffs' lawyers. It's an instant download you view on your computer. 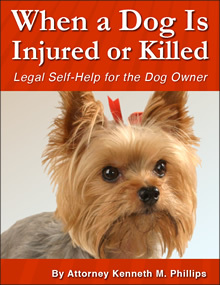 Get the book, What To Do If Your Dog Is Injured Or Killed. 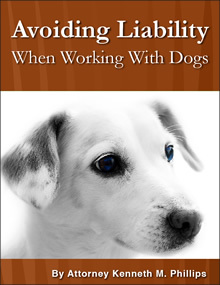 It's a self-help book for dog owners. 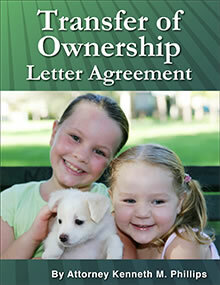 Get Avoiding Liability When You Train, Shelter or Adopt Out a Dog. 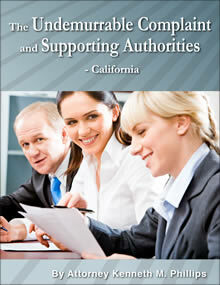 It's a video seminar on DVD that comes with essential legal documents to keep you safe legally.